Maskers Theatre Company was founded in 1968 and is firmly established as one of the South’s leading non-professional theatre groups. 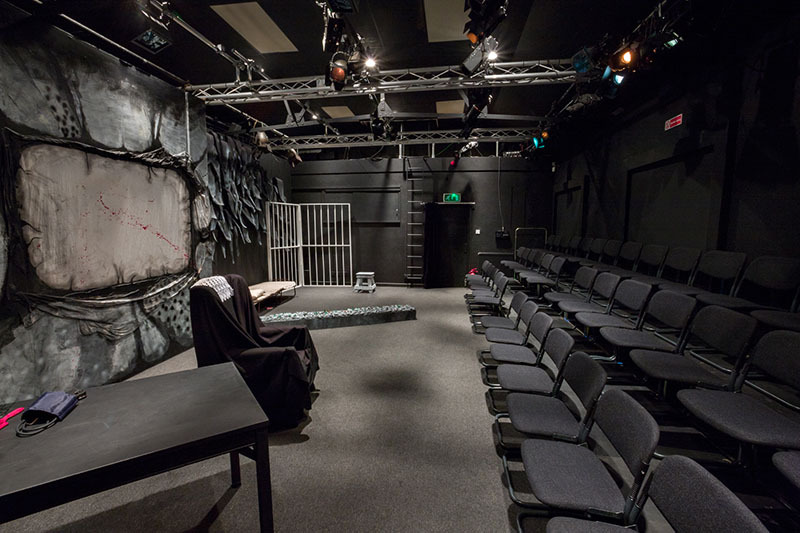 The company has its own studio theatre and workshop space where our productions take place. You will find a wide range of all types of drama from traditional to modern, from comic to tragic and all points in between. Whatever the show, you will always receive a warm welcome. We welcome new members, particularly from the local community, in whatever capacity. You don’t have to act! There are opportunities to be involved backstage, front of house, technically (lighting, sound and set building), in marketing, and in the many other activities involved in producing quality theatre. We also have a lively social calendar. If you wish to join us please see our Join Us page. Our flexible Studio Theatre space seats around 40. 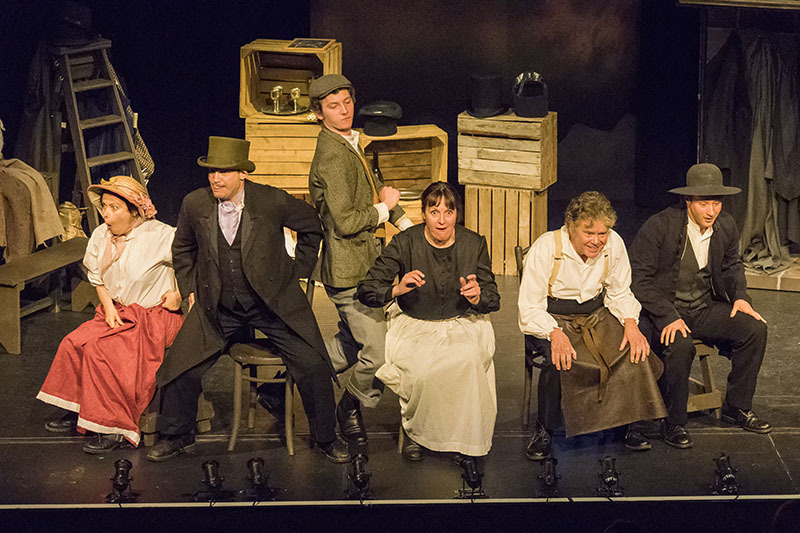 We have shows in traditional theatre layout as well as 'in-the-round', giving audiences an immersive experience. In the past you could experience a suburban garden, complete with full flower bed planting, lawn, garden shed and conservatory (Humble Boy); an Irish bar (The Weir) and a railway waiting room (Mistletoe Junction). 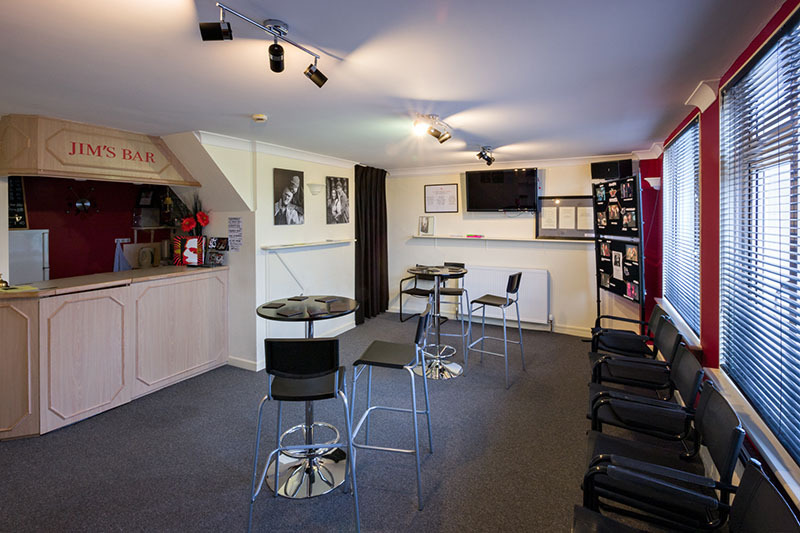 There is a comfortable bar for pre-show, interval and post-show drinks and where our members can relax at social events. We also have a costume store, a scenery store and a building workshop, where our members can build all manner of sets, props and special effects. We have an excellent stock of top of the range LED lighting, and modern control equipment for use both in the studio, on tour and at our open-air venue. Our shows are fully supported by a comprehensive sound and audio set-up. Our technical sound and lighting ensure a top-class experience for our audiences and a chance to work with some of the latest equipment for our members. Plays performed have been diverse and innovative from classics, such as Antigone, Richard II, Great Expectations and A Midsummer Night's Dream, alongside recent writing like Di & Viv & Rose, Silly Cow, and The 13th Floor; through to challenging physical theatre in Kafka’s Metamorphosis. Having our own space allows us the freedom to create different perspectives and effects. Maskers was originally a touring company and we are looking to tour more frequently in the future. Touring to outlying small venues allows excellent theatre to be seen by communities in their own village hall. We also delight in our open-air production, which has been a Maskers’ fixture for over 30 years. In that time we have adapted many different styles of play to natural surroundings. This is challenging both artistically and technically. Recent productions include Around the World in 80 Days, The Jungle Book, Pygmalion and Anne Boleyn. 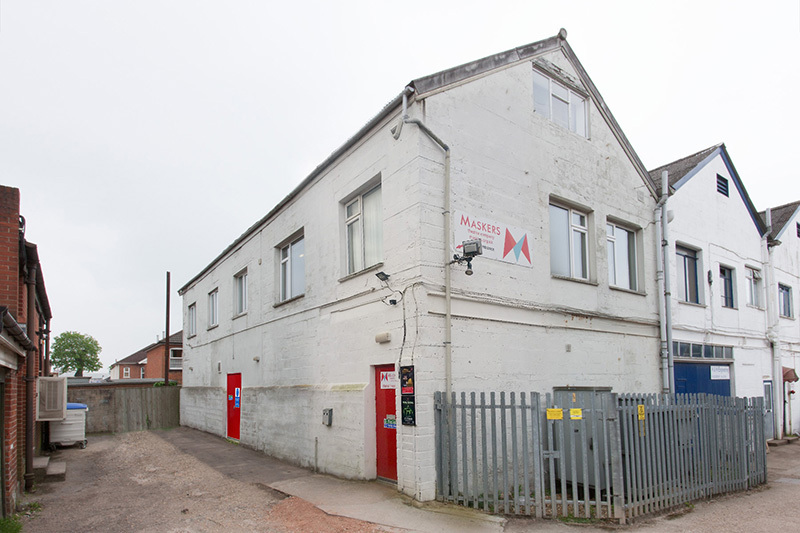 Maskers Studio Theatre has been located in Shirley, Southampton for over twenty years, although historically we have been based in various different parts of the city. While we draw our members and audiences from all over the Southampton area and beyond, we feel we are a part of the Shirley community and are keen for local residents to see us as their theatre, where they can enjoy high quality theatre on their doorstep. However, tucked away as we are behind Shirley High Street, many local people are unaware of our location, so we are actively working to raise our profile in the area. Whenever possible we support and are involved in local activities and we aim to grow our involvement in and with our neighbours. Come and join us in our events specifically aimed at the local community, for example Saturday morning children’s shows, or street theatre in Shirley precinct. Look out for details on posters, fliers and social media. Please see our Join Us page. Founded in 1968 by a small group of 12 dedicated theatrical players the company has now grown to a membership of over 120. 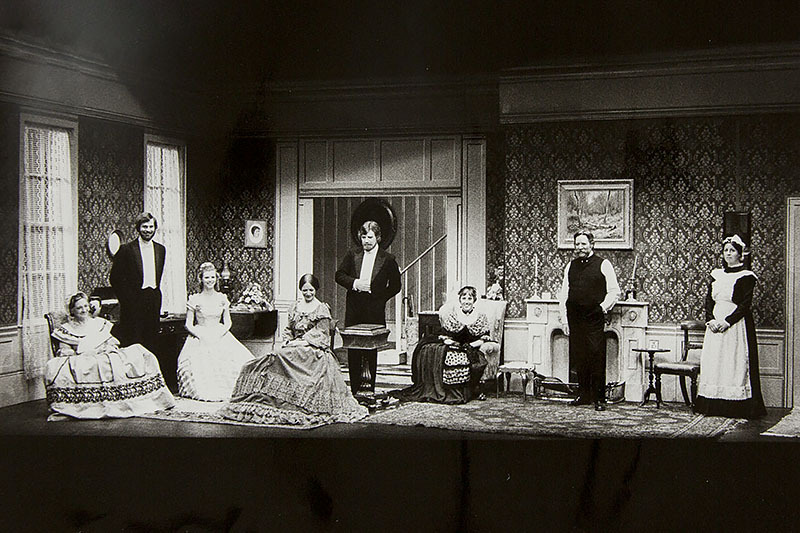 Our first production was Much Ado about Nothing which, after an initial tour at the end of 1968, moved onto the Nuffield Theatre stage in January 1969. Since then and the end of 2017, we have put on over 315 productions, in many different venues. A full listing and further details about some of our past productions can be found on our archive pages. For a while we were a nomadic company, performing at different venues around the city, but from 1973 we were able to set-up a small theatre space in a small annex to the Bassett pub in Bassett Road, (since rebuilt as a retirement home). On leaving there we were basically nomadic again, despite brief stays at the old annex for Deanery school on the corner of Latimer and Bernard streets, and at Eastpoint, until, with the help of members contributions, we were able to purchase our current premises in 1994. With the help of grants from the Lottery and Sports and Art foundation we were able to convert what was a printing works into the thriving theatre space it is today. We continue to perform in other venues around the city and further afield, as well as putting on several productions a year in our own Studio Theatre.